I have been needle felting a few more spring goodies this week. This time I will not be adding them to the shop; I will be donating them to the Child Guidance Resource Centers in Pennsylvania for their spring event. But don’t worry I will still share my creations will everyone in picture form! Liia Rudolph politely contacted me a few weeks ago and I was so happy that she gave me so much time to prepare. And I was even happier that it was a spring event as I am preparing for my own spring celebration with my family. Felting these toys for Liia really gave me a chance to try out some ideas before my family’s big day. 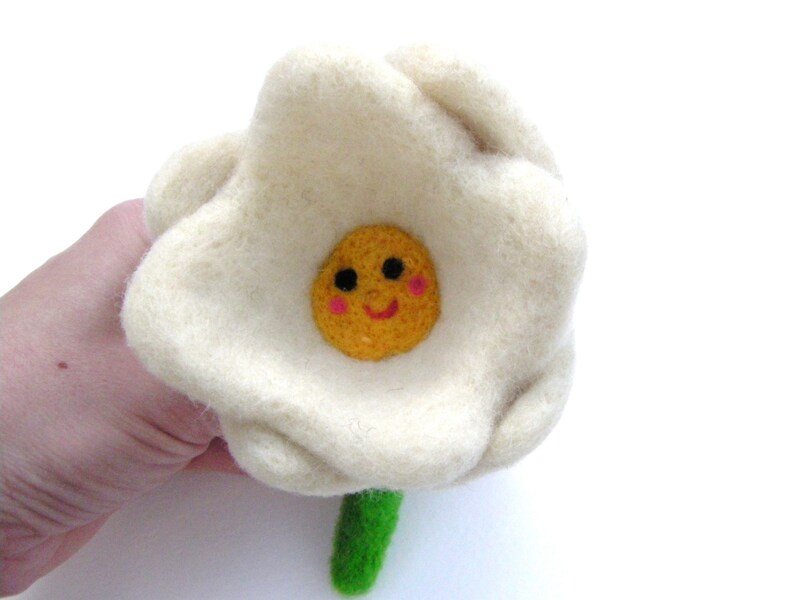 The felted flower has a tiny little face in the center. My son got a big kick out of that; I think he was a bit surprised! And my felted chick can easily be lifted from her egg shell. As a child, I tried to help the baby chicks hatch; sometimes I was successful and sometimes the poor little chick . . . Well, let’s just say I didn’t try that very many times! Lesson learned. 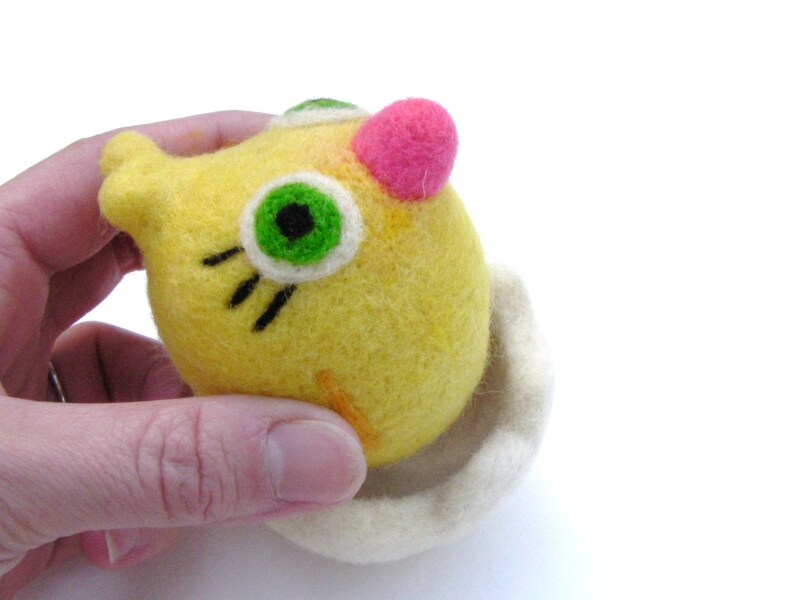 Let those little chicks pop out of their egg in their own time! Hopefully Liia can make good use of these felted cuties! If anyone would like to help, the website is www.crgc.org and once again, the very nice women that got me involved is Liaa Rudolph. Thanks for checking out my most recent spring felties and thanks Liia for letting me be a part of your spring event! And did anyone notice the little felted acorn in the chipmunk’s hands? Too cute!